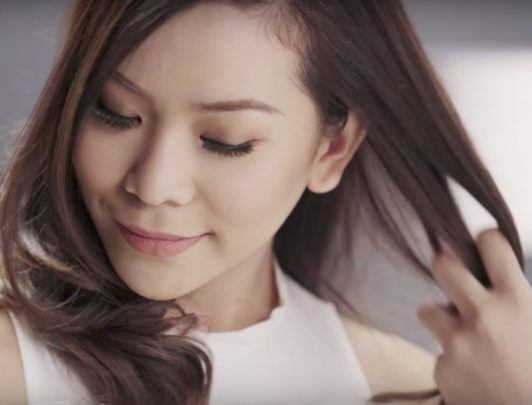 Learn how to get wavy hair using your go-to tool in this tutorial featuring Raiza Poquiz. If you didn’t know you can use your flat iron to make waves (literally and figuratively), then you haven’t been using the tool to its full advantage. 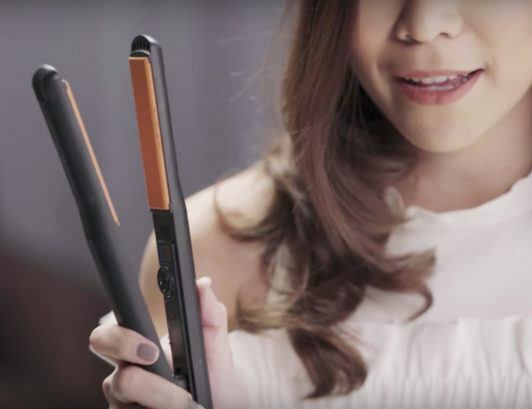 Your trusty straightening iron might just be what you need to achieve that gorgeous wavy flat iron (or what others lovingly call “flave”) hairstyle. A pretty wavy hairstyle can be worn on a casual day at school or at work, and can also be romantic enough for date night! It’s totally versatile! And with only your favorite tool to get it done, we’re sure you’ll love it as much as we do! Blogger Raiza Poquiz walks us through the 3-step process of getting wavy hair using a flat iron, in the video tutorial below. Watch and learn, ladies! 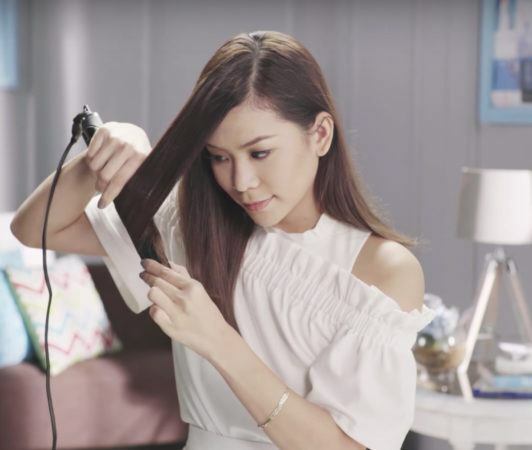 After washing your hair with Dove Oxygen and Nourishment Shampoo and Conditioner, dry completely with a hair dryer. Make sure you remove all the moisture from your strands. Iron your hair flat from roots to tips. Make sure you cover everything. Now you’re ready to make waves. Create waves by rolling small sections of hair around the iron, pointing it downwards as you do so. You want your hair to be bouncy so run fingers through your hair to create volume and texture and make those beautiful waves look as natural as possible. Easy enough, don’t you think? The straightening iron is such a gem! And now that you know how to get wavy hair with just this tool, you can turn to this hairstyle whenever you want to look posh without exerting too much effort! You’ll enjoy creating this style, for sure! So go grab your trusty flat iron and get ready to nail this pretty wavy hairstyle!